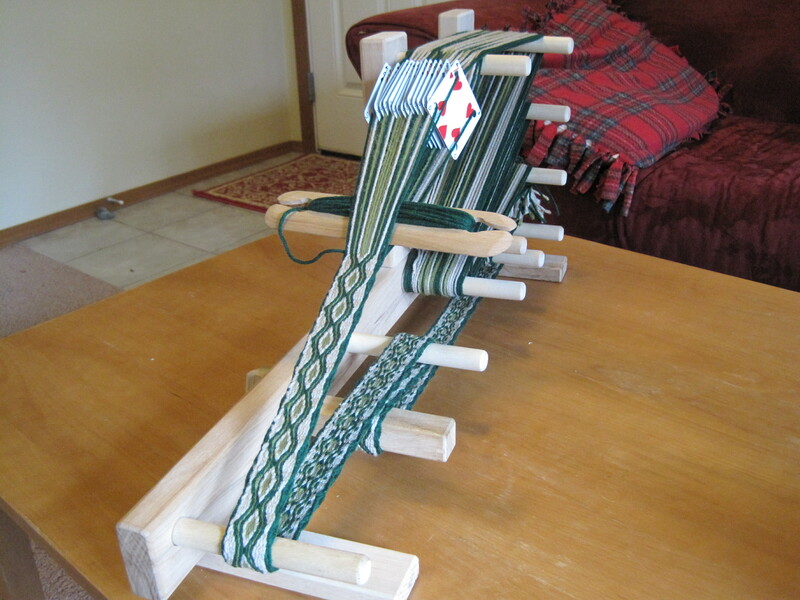 I did not understand continuous warping until I bought an inkle loom last summer. My first tablet weaving projects were tensioned using my foot or a doorknob or this cheap little loom I made. Without a warping board, it was a pain to try cutting all the warp threads to the same length. 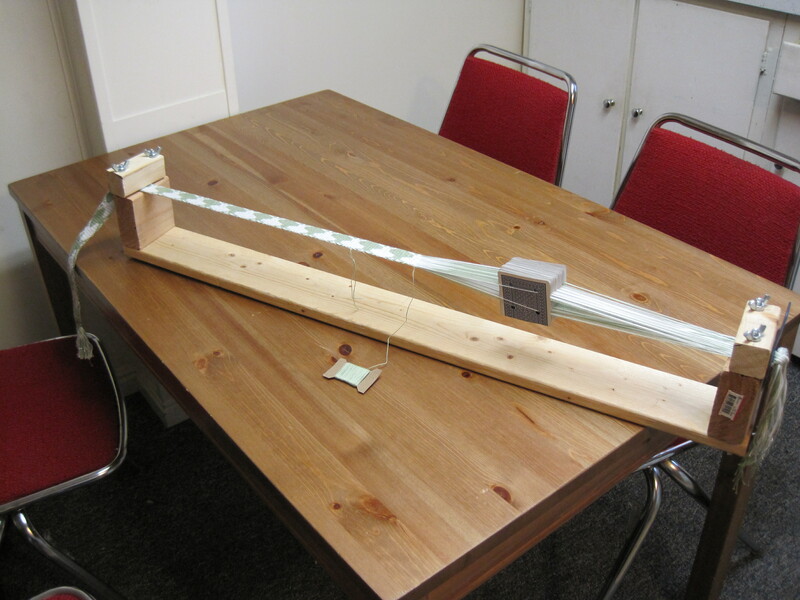 Continuous warping takes care of length, and the inkle loom is easy to tension. But after six inkle projects, I was ready to tackle tablet weaving again. Oh man. Continuous warping is AMAZING! 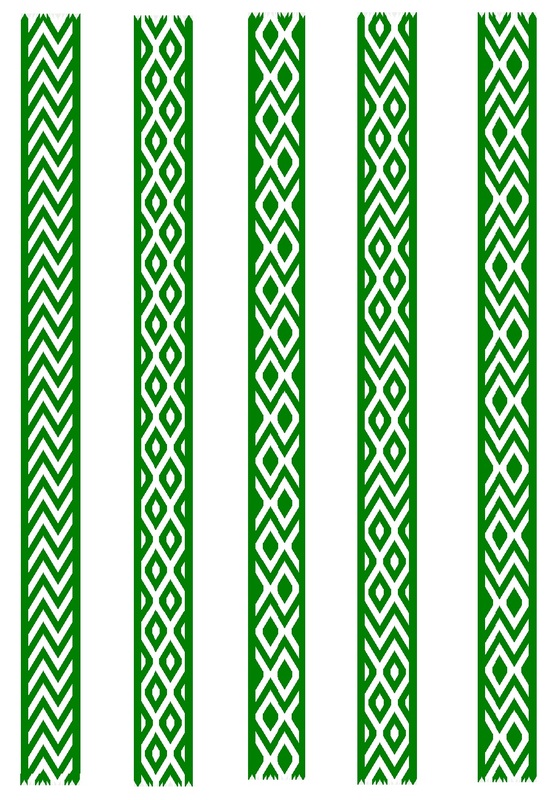 I’ll have to do a tutorial sometime on the method I figured out for warping threaded-in tablet weave patterns on an inkle loom. For now, this is just a Public Service Announcement because (have I mentioned?) continuous warping is wonderful. The pattern I’m weaving now is one of Guntram’s simple patterns. 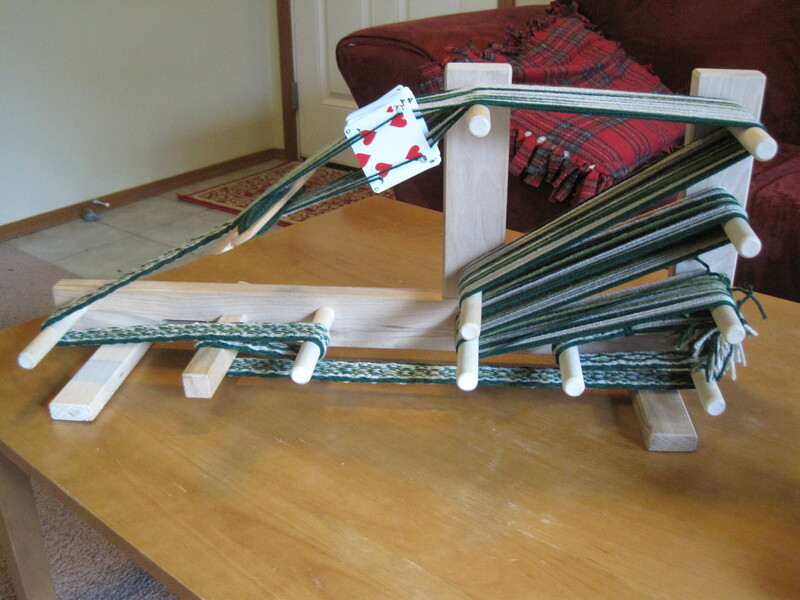 Guntram’s Tabletweaving Thingy is also on my list of awesome things.